manage members, publish content and generate recurring revenue – it’s the main reason 20,000+ organizations trust Brilliant Directories. 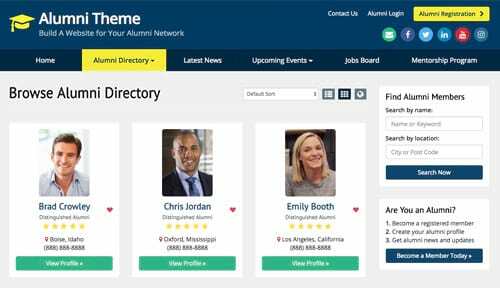 Perfect theme for B2B and B2C directory websites targeting specific industries where visitors can find, connect and be matched with professional members. Home Services, Medical, Wellness, Legal, Insurance, Wedding, Finance, Beauty, Pet Services and more. 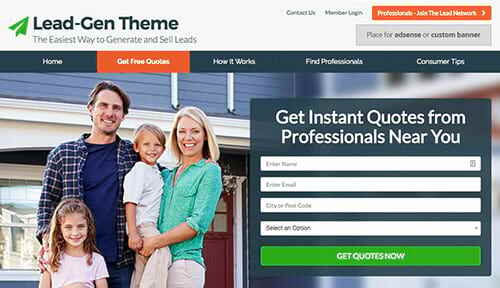 Dominate your market with tools to publish business listings, events, news and more. 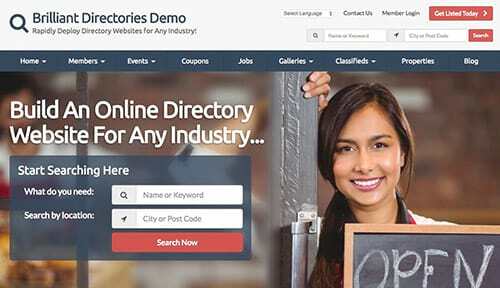 Create a business directory for your local city or region. 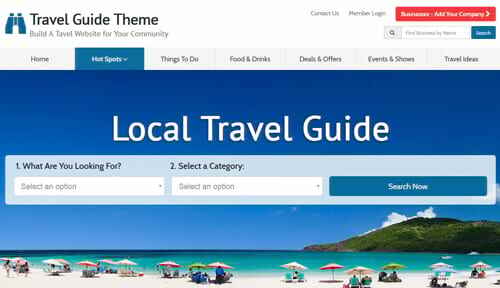 Publish local listings, hot spots, deals, events, news, general information and more with this optimized directory theme perfect for communities. 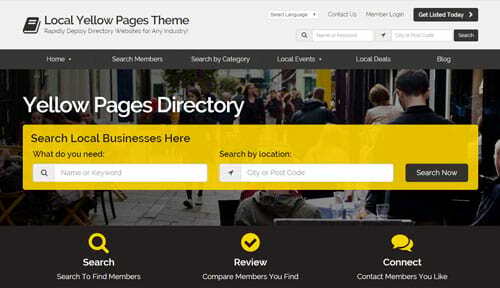 Yellow Pages, TripAdvisor Sites, Local Community Directories, Travel Guides and more. Simplify tasks for your entire organization with this theme. 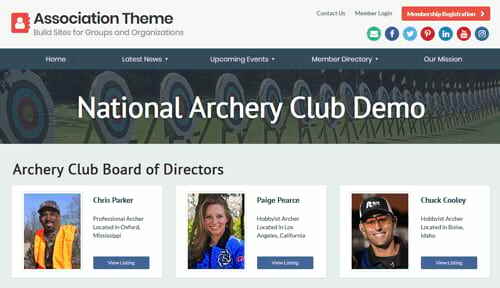 Quick & easy set up to match your branding, manage members, payments, events, news, emails and more for your Membership Website..
Chamber of Commerce, Alumni, Parent–Teacher, Political, Non-Profits, Foundation, Charities, Religious Institution and more. 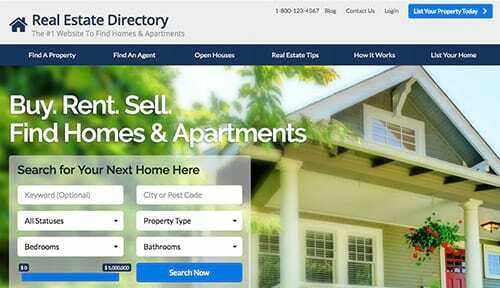 Perfect for directory websites serving the real estate industry. 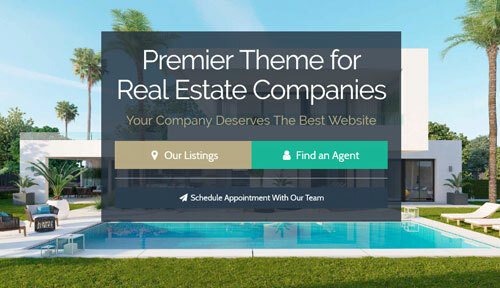 List properties to buy, rent and sell with this website theme. Showcase your agents, property portfolios, manage HOAs and more. Broker Portfolio, Firm Information, Home Owners Association, Rental Properties and more. 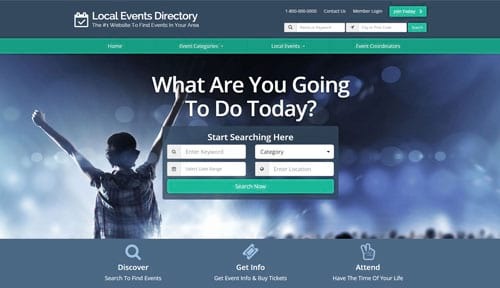 Launch online communities and membership websites where users post content directly to your site such as local classified ads, events, deals, news and more. 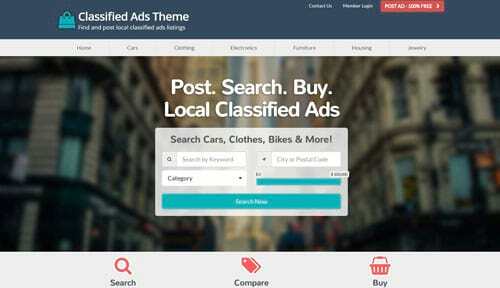 Craigslist, Nextdoor, Eventbrite, Kijiji, RetailMeNot and more.